Inscribed ‘H.C.’ (Hors Commerce) in pencil in the lower left, aside from the numbered edition of 300. Published by Maeght, Paris. 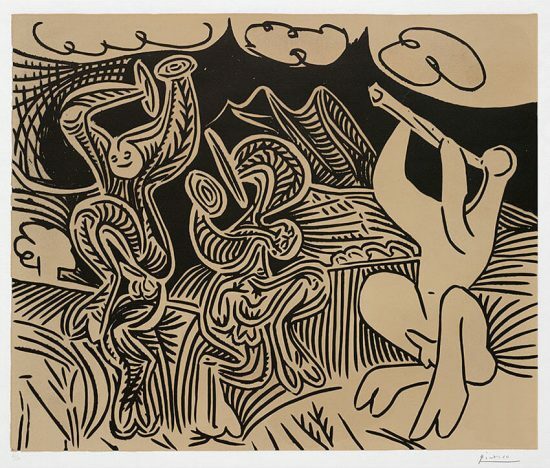 This work is hand signed by Georges Braque (Argenteuil, Val-d’Oise, 1882 – Paris, 1963) in pencil in the lower right margin; also signed in the plate in the lower right on the image. 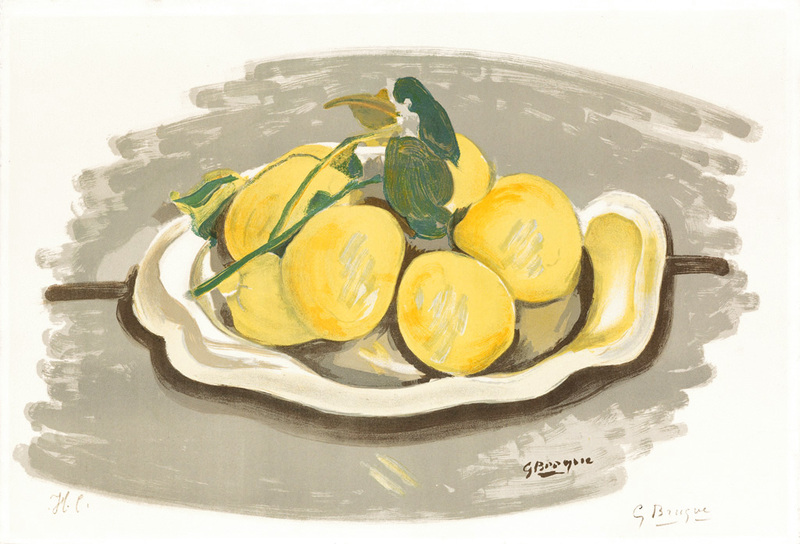 Georges Braque Corbeille de fruits (Basket of Fruits), c. 1955 is a stunning still life of an arrangement of lemons in a landscape orientation. Utilizing a visual language of flowing lines and a painterly application, Braque conveys his subject’s organic nature through his execution. The yellow citrus fruits are displayed piled on top of one another inside a loose basket. The lemons highlights and shadows are selectively applied, and only the darkest shadows between the fruits are darkened. 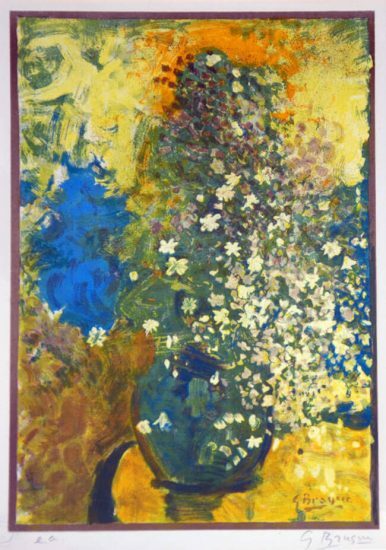 Using a shade of yellow that is only a touch darker, Braque blends each hue with delicacy and restraint. By doing this, he employs a subtle sense of depth while abstracting the subject matter not beyond recognition. A light grey is applied in thick and sweeping brushstrokes around the still life creating a sense of space in the background. 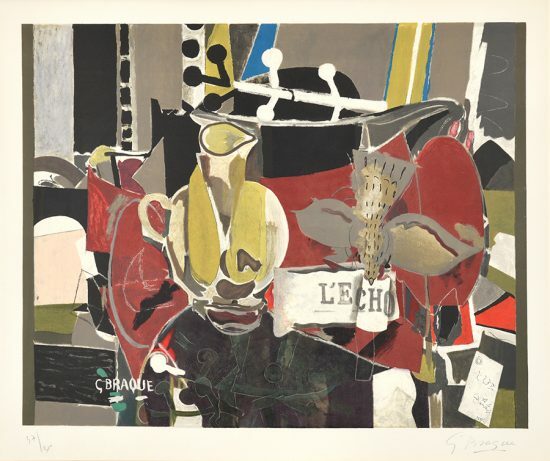 A beautiful and understated offering from one of the founding fathers of Cubism, Georges Braque Corbeille de fruits (Basket of Fruits), c. 1955 is a stunning use of the still life scene as a study of color and form. 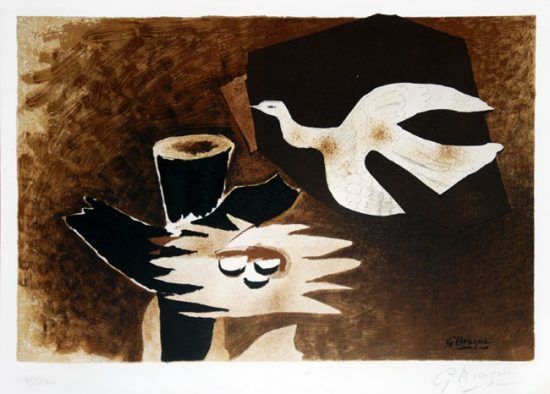 Created c. 1955 after an original oil in canvas by Georges Braque painted in 1952, this color lithograph is hand signed by Georges Braque (Argenteuil, Val-d’Oise, 1882 – Paris, 1963) in pencil in the lower right margin; also signed in the plate in the lower right on the image. Inscribed ‘H.C.’ (Hors Commerce) in pencil in the lower left, aside from the numbered edition of 300. Published by Maeght, Paris. 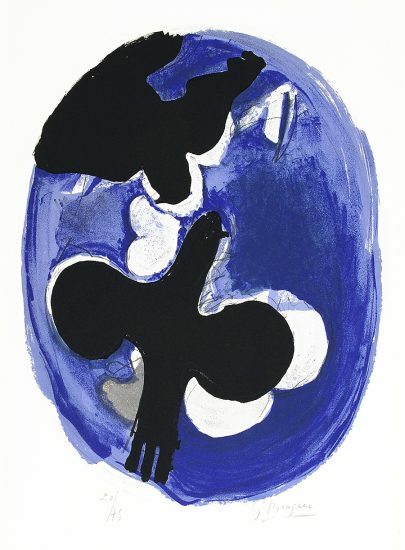 Georges Braque Corbeille de fruits (Basket of Fruits), c. 1955 is fully documented and referenced in the below catalogue raisonnés and texts (copies will be enclosed as added documentation with the invoices that will accompany the sale of the work). Vallier, Dora. 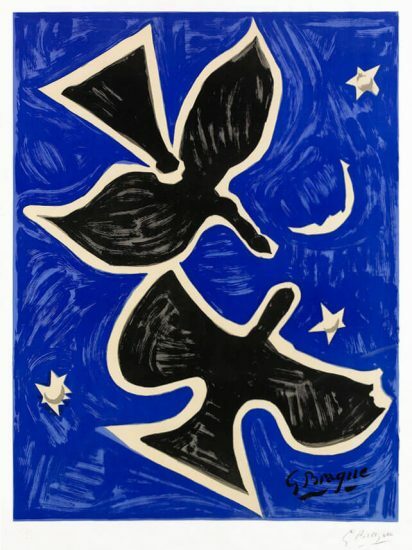 Braque: The Complete Graphics, Catalogue Raisonné. Translated by Robert Bononno and Pamela Barr. New York: Gallery Books, 1988. 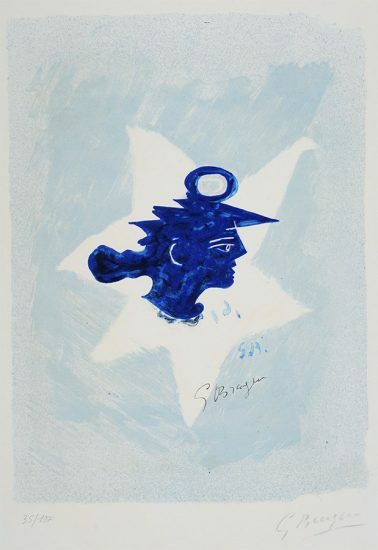 Listed and illustrated as Maeght no. 1011. 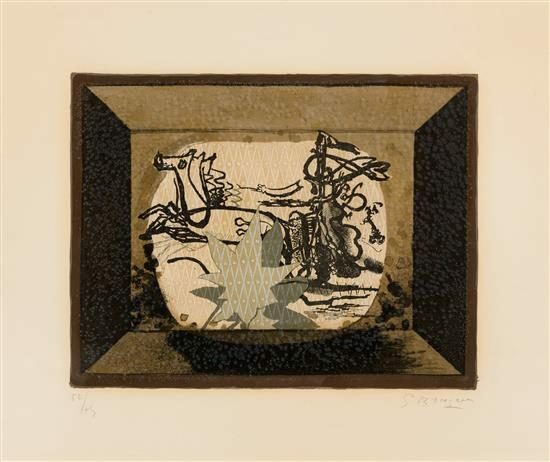 Framed to museum-grade, conservation standards Georges Braque Corbeille de fruits (Basket of Fruits), c. 1955 is presented in a complementary moulding and finished with silk-wrapped mats and optical grade Plexiglas.